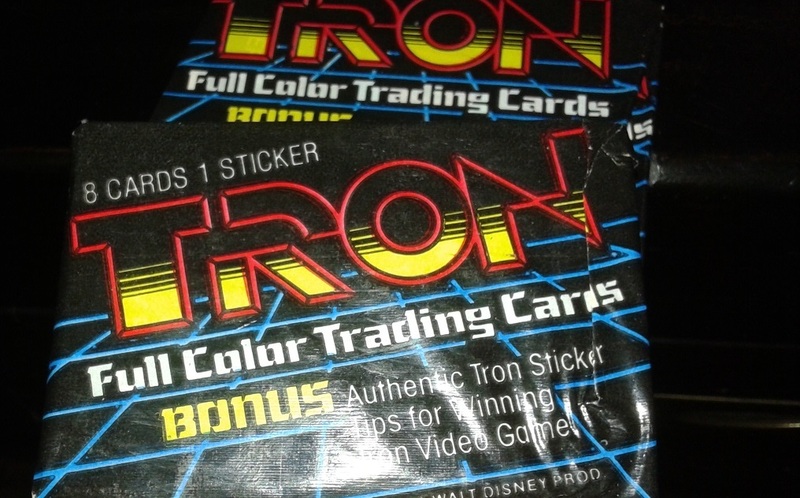 Just opened some vintage wax packs of Tron collector cards from 1982 with a friend over the weekend! Was awesome to experience what it must have been like to open cards back when the movie came out. I got to open about 4 or 5 packs It felt somewhat sinful, considering the great state they were in *gulp* ... but on the other hand, you can't necessarily live life just letting something collect dust 'just because'. If they were mine, personally, I don't think I could have opened them. In fact, I do think I have an unopened box somewhere, and I don't plan to open them ever. I've never seen those before, but they look pretty cool! I'm not old enough to remember when the first film came out at the time (I was about 3 years old), so I don't really know much about any of the original merchandise from the time (although I've seen lots of interesting pictures of books and toys online). I was more into sticker albums rather then collectors cards, but from what I've heard/read it's quite a big business now days.